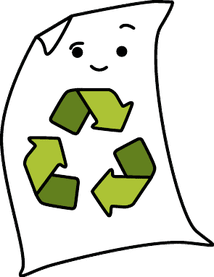 The following municipalities provide a Dual Stream Recycling Curbside Pick-Up Service: City of Marquette, Marquette Township, City of Negaunee, Negaunee Township, City of Ishpeming, Ishpeming Township, and Chocolay Township. Recyclables must be sorted into fiber materials and rigids materials prior to placing on the curb for pick up. Fiber (cardboard/paper) material will be picked up on fiber week. Rigid (plastic and metal) material will be picked up on rigid week. Recyclables will be picked up on the same day as your regular waste pick up. ​See the Dual Stream Curbside Recycling Schedule to determine which material should be placed on the curb each week. 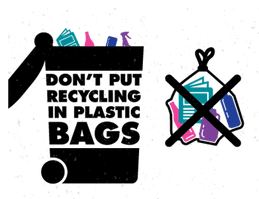 ​Things to keep in mind when you are sorting your DUAL STREAM recyclables​! Sorted RIGID (plastic and metal)​ materials should be rinsed and placed curbside in totes or hard walled bins. Remove lids and place in the bin. Sorted ​FIBER (cardboard/paper)​ ​materials should be placed curbside in PAPER BAGS OR BOXES, totes, or hard walled bins. Remember to follow the posted schedule for Dual Stream Curbside Recycling​. Ensure proper material is placed for curbside collection​.